Essen likes to party. Numerous festivals and events fill the annual calendar. Each year, from the beginning of May to the end of July, the elite of the piano-playing world meet in the Ruhr region by invitation of the Initiativkreis Ruhr. In concrete terms this means 60 to 70 top-notch concerts each year of classical, jazz, chamber and orchestral music that have long made the Ruhr Piano Festival well-known far beyond the region. In addition are performances by promising up-and-coming and debutant pianists, whom the festival is particularly committed to supporting. Performance venues in Essen include the Philharmonie and Schloss Borbeck, but can also be the Lichtburg or the Folkwang Museum. 200 events in 50 locations. And all of them in one night. During “ExtraSchicht”, culture works overtime. Since 2001 former mines, slag heaps, gasometers and industrial sites have been turned for one June night each year into stages for dance, theatre, music and exhibitions. Shuttle buses run between the 50 sites, which are spread all over the Ruhr region. One of the venues in Essen is the Zollverein colliery. For five days in July along Germany’s longest gourmet mile in central Essen, visitors can look over the shoulders of top chefs at work – and then eat the results. There’s something on the menu for every taste and every budget. Be it a nibble or a main course, everything is freshly prepared, a real treat for the taste buds. 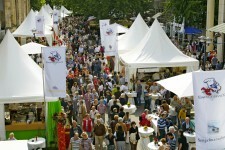 The traditional open-air “Essen Original” festival, is one of the musical highlights of the year and can hardly be beaten for variety. Under the slogan “free and out of doors”, the three-day event in September has a musical range stretching from pop and jazz through hit songs to rock and comedy. Since its inception in 2002 the Ruhrtriennale has become an emblem of the changes in the Ruhr region. This festival, which follows three-year thematic cycles under changing artistic direction, stages music, theatre, literature and dance at industrial heritage sites. These include the colliery and coking plant at Zollverein and the winding engine hall of the Carl colliery. 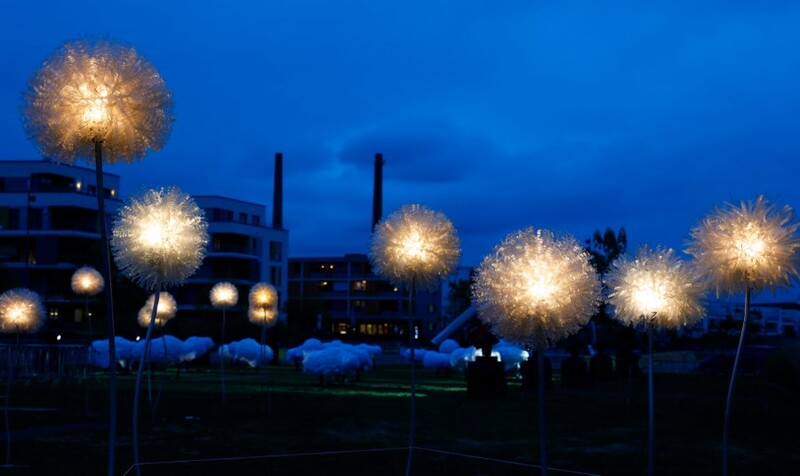 Set the stage for the Essen Light Festival, as a prelude to the Essen Light Weeks. From October 25th to November 3rd, visitors can look forward to spectacular 3D video mapping of distinctive buildings, modern light installations and impressive light installations by international and local artists on a 2-kilometer circuit in central Essen. The 18 venues are located on the WAZ route and can be comfortably completed in about 2 hours. It starts daily at 18.00 clock. Until 22:00 clock the productions are shown in continuous loop. Admission to all venues is free. For drivers and dreams - Things will heat up again in December! Experience pure automobile passion at Europe's largest and most important show for tuning, motor sport, series sports vehicles, classic cars and motorbikes. The ESSEN MOTOR SHOW and motor sport go together like tyres and rims: It is therefore the finale of an exciting season. We'll create a sensation: 1,600 trade journalists from all over the world will be reporting on trends and innovations of our more than 550 exhibitors. With the perfect mixture of show and information, we make the hearts of almost 360,000 visitors beat faster every year. After the Essen Light Festival are the Essener Lichtwochen. Because on the 3rd of November, when the Essen Light Festival illuminations come to an end, the lights of the traditional Essener Lichtwochen light up. 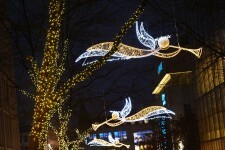 Until the 5th of January 2020, they will create an atmospheric glow in the (pre) Christmas city center. The Christmas market on the Kennedyplatz and surrounding pedestrian zones features some 250 stands and is one of the largest and most beautiful in Germany. Efforts to find original gifts or Christmas decorations will be disrupted by a stop at one of the numerous refreshment stands and speciality huts, in which culinary treats from all over the world are on offer. From January to March, Esseners love to go ice skating. The Kennedyplatz in the centre of the city is converted into a 1000 square metres skating rink. And while the skaters are circling to music from the loudspeakers, there is a 70-metre tobogganing slope nearby. Those who prefer a more leisurely pace can try their hands at curling. And Alpine specialities are served up in the Schmankerl Hütte in rustic style.